Crew tips: Unfortunately, we are unable to accept crew tips via credit card so they are cash only. All major currencies are accepted and appreciated. 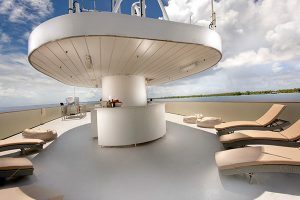 Wireless Satellite Internet is available to guest on French Polynesia Master. 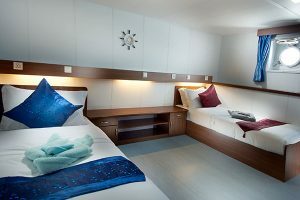 You can find more information on packages available and special pre-cruise purchase offers. Just say the words “French Polynesia” and what springs to mind are thrilling currents and passes. And a plethora of small islands with stunning white beaches, surrounded by crystal clear warm waters. 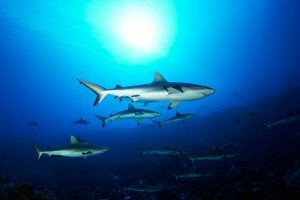 Walls of hungry sharks gather in schools (hammerhead, blacktip, silky, tiger, grey reef and many more), to be joined by manta rays and bottlenose dolphins. 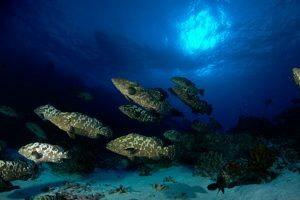 Diving Raingiroa’s reefs and channels at North Fakarava Island, you can experience incredible shark action, see huge Napoleon wrasses and witness marbled groupers spawning. 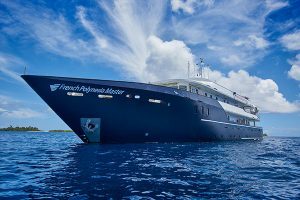 A typical diving day will see you cruising through channels and exploring the outer reefs of the atolls, yet there are numerous shallow dive sites within the Tuamotu Archipelago, each with stunning hard corals, sheltering all manner of crustaceans and mollusks. Get ready to explore the underwater treasures the archipelago has to offer. 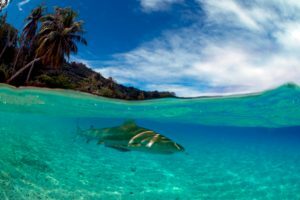 The Tuamotu Islands to the east of Tahiti, make up a large part of French Polynesia and include two of the nation’s most spectacular islands: Raigiroa and Fakarava a UNESCO Biosphere Reserve. Famous for the Garuae Pass, one of the best sites in the French Polynesia for continuous shark sittings, drop offs, plateaus, caverns and gorgeous coral reefs make for beautiful seascapes. The 7 night itinerary includes numerous smaller islands in the area: Toau, Kauehi, Faaite, Niau and Raraka, which make up the UNESCO Biosphere Reserve. Leopard whip rays, barracudas, tunas and gigantic schools of big eyes ae swarming the reefs. Amazing macro life can be found here including leaf fish, nudibranchs and all kinds of critters. All waiting for you on this fantastic once in a lifetime trip. 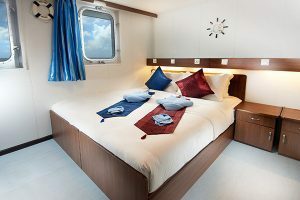 The newly built M/V French Polynesia Master is currently the only live aboard vessel to ply the waters of the archipelago and has a cruising speed of 12.5 knots. 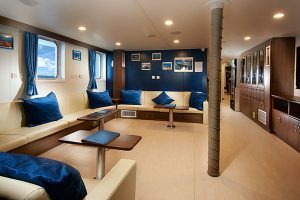 Built from steel, she welcomes up to 25 guests for this 7 night dive safari. 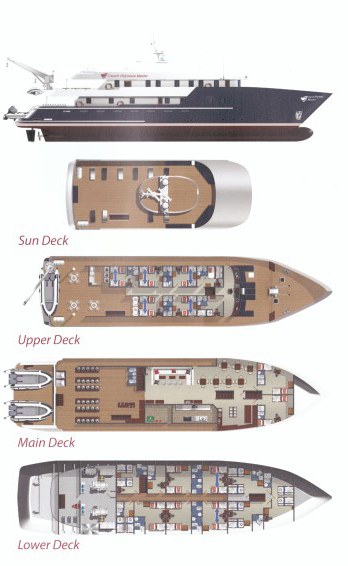 Her four decks provide ample space for relaxation, dive equipment and camera preparation. With our experienced crew you will receive only the highest quality service on your diving vacation.